At 31, Tyller Williamson is the youngest person to get elected to the Monterey City Council. He’s also the first African American. And when he took the oath of office on Dec. 4, he became the first openly gay City Council member in Monterey. His election on Nov. 6 might seem like a stunner. He was challenging two entrenched incumbents. He was pretty much an unknown, a relative newcomer in a provincial city in which anyone who isn’t born there will always be thought of as an outsider. But Williamson is gregarious, smart and he is a tireless campaigner. He showed up in my neighborhood on Spaghetti Hill, earnest and armed with campaign literature, knocking on doors at 7 p.m. on Nov. 4, two days before the election. When doors opened for him, he introduced himself and asked people which issues concerned them most. He listened to their answers. And he listened some more. He didn’t have a spiel, other than to ask for a vote before moving on to the next door in the neighborhood. Williamson’s victory led a new wave of young and enthusiastic political leaders that swept into local offices during the Nov. 6 election. They include Jon Wizard, on the Seaside City Council; Alison Kerr, the new Del Rey Oaks mayor; Jenny McAdams and Amy Tomlinson, on the Pacific Grove City Council; and Adam Urrutia and Lisa Berkley, who ran unopposed for two seats on the Marina City Council. Alan Haffa, chairman of the Monterey County Democratic Central Committee, attributes the surge in local political interest to the energy generated by Sen. Bernie Sanders during his run for the presidency two years ago. Also, “our local Democratic party has focused on recruiting more people of color, women and young candidates,” Haffa said in an email. “The local party has been active in supporting a number of activist groups such as the Pride Parade, Women’s March, Swing Left and more, and this activist energy has brought new faces into local politics who were not involved in the past,” Haffa said in an emailed message. Haffa was an ally of Williamson during the campaign, and they will serve together on the City Council. “He is smart, collaborative, and dedicated to serving the community,” Haffa said. During a recent two-hour interview over coffee at Valnizza’s Market in Monterey, Williamson spoke frankly about growing up in a military family, his journey from San Diego to Monterey, his inspirations and his successful campaign. Williamson has lived in Monterey County since 2010, when he followed his mother to the Central Coast. Sandra Williamson retired from the U.S. Navy and took a human resources job with the Naval Postgraduate School in Monterey. As a child, Tyller had moved with his parents from post to post, but he was able to enter and graduate from the same high school in San Diego. The choir leader at his church in San Diego was an admiral, and he wrote a recommendation for Williamson to attend the U.S. Naval Academy. Williamson didn’t have the grades and instead attended the Naval Academy Preparatory School in Newport, R.I. He was at Annapolis through most of his plebe year. Williamson said he had been failing a couple of classes, and was sent to the academic review board for a hearing. He expected the board would suggest a course of remediation. Instead he was summarily discharged. Williamson went back to his mother’s home, which was then in Connecticut, to recover from the setback. He soon returned to San Diego, took a couple of jobs and attended junior college. His mother then moved to Monterey, so he came to Monterey to attend CSU Monterey Bay. 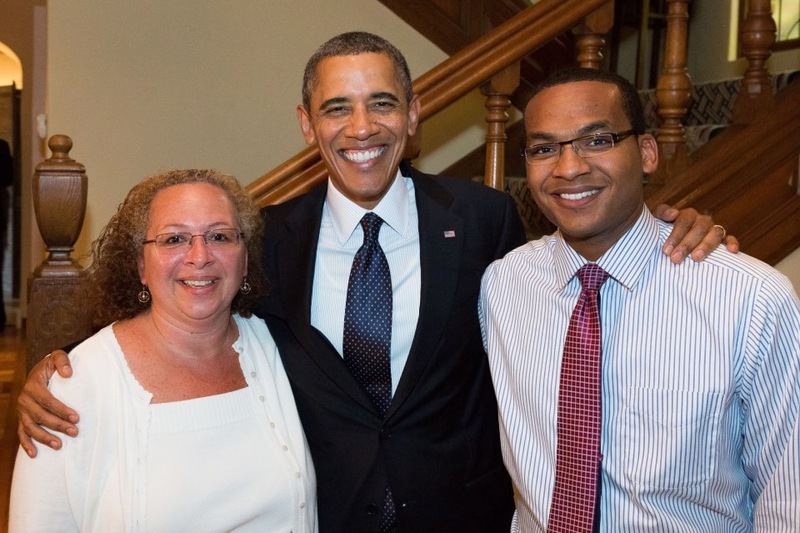 He enrolled to be a fellow for the 2012 reelection campaign for President Barack Obama. After a weekend of training, he was asked to coordinate the San Francisco region for the campaign. It was a great opportunity, but it would also mean that he’d have to interrupt his education and quit the job he had. He vacillated. But one night he and his mother attended an Obama campaign appearance Obama at the Fox Theater in Oakland. At that event, he and his mother were invited to work at a private fundraising party later that evening. He said he was awestruck to be in the same room with the president. On the way home, he got an email from the campaign, telling him he had one last chance to take the position in San Francisco. He said yes. He learned much from that experience, and it was very much in evidence as he campaigned for the Monterey council six years later. The San Francisco experience gave him confidence he had lacked; it became a defining period in his life on several levels. In addition to the campaign experience, he hooked up with his first male partner in San Francisco. He returned to CSU Monterey Bay emboldened, and he set up a meeting with his parents to explain his sexuality. His mother was okay with it. His father, a devout Christian, told him he hoped that he could eventually accept Jesus Christ in his life. His father also said he never wanted to see him with another man. “It was the best outcome I could ask for,” Williamson said. He initially feared that his father would react violently. His relationship with his father became awkward and complicated — and it came to a head during a scary and emotional episode during a party for Williamson to celebrate his graduation from CSUMB. His parents separated soon after. Williamson got a job at the travel office at the Naval Postgraduate School soon after arriving in Monterey County. Over the years, he has moved into different positions at NPS, and is now the executive assistant to the chief information officer. He is also enrolled at NPS, and he said he is three classes away from his MBA. It’s not Annapolis, but it is an MBA from a Navy school. Also, soon after returning from his assignment in San Francisco, he founded Monterey Peninsula Pride. He also connected with his partner and the two of them bought a house on Franklin Street in Monterey. Williamson was elected to the City Council after his relentless campaigning, honed from what he picked up on the Obama campaign. He had the support and assistance of established and older progressives in the area. Interestingly, at least one of them advised Williamson that he shouldn’t be so “out” while he was campaigning. Williamson said he laughed off the advice, and he makes no secret of his sexuality. The Monterey County Weekly endorsed Williamson for the council but did not endorse either of the incumbents, Timothy Barrett and Ed Smith. A vote for either would hurt Williamson’s chances in the race for two seats, according to the Weekly endorsement. Some candidates and Monterey residents grumbled about the strategy, but it was one of the cornerstones of Dan Albert Jr.’s campaign when he was elected two years ago. And there is no way of knowing how many voters in Monterey cast a single vote for Williamson, whether the strategy made a difference. In the end, Barrett was voted out and he is being replaced by Williamson. As of the latest count, released by the Monterey County Registrar of Voters on Nov. 21, Williamson led the pack with 5,389 votes. Smith had 4,648, and Barrett trailed Smith by 188 votes. Remaining absentee and provisional ballots will be counted this week, but they are not expected to make a difference in the Monterey race. Another candidate, Terrell Maddox, ran a distant fourth. Williamson’s campaign was outspent by both the incumbents by almost two-to-one margins, according to financial disclosure statements on file in Monterey City Hall. A smart and energetic voice that finds success at a young age will naturally elicit talk about potential and future possibilities. But Williamson said he doesn’t want to hear about it. Running successful campaigns is one thing, but he said he’d like to learn how to be an effective elected official and how to enact policies. In that, he said he would like to plunge headlong into the issues he said voters told him were high on their priority lists: water, housing, transportation and transparency at City Hall. Monterey has fallen behind in meeting its housing goals, the cost of housing is forbidding and rentals continue to climb. Recent data show that about 65 percent of the city’s residents are renters, with median rents exceeding $1,500 a month. Williamson said he doesn’t believe renters have adequate representation on the council, and he would like to be their voice. He said he supports the strategies for housing contained in an analysis released by the Monterey Bay Economic Partnership, an organization of public, private and civic groups from Monterey, Santa Cruz and San Benito counties. That analysis suggests that regional partnerships involving public and private interests are the best approach to building new and affordable housing units. It also recommended a reconfiguration of how cities and counties levy developers’ fees and identification of appropriate locations for affordable units near jobs and shopping areas. Solutions can come from a housing coalition that includes elected officials, housing experts, people who are directly impacted by the high cost of housing, and other housing advocates. He would also urge the Department of Defense to become active participants in local housing issues. “They have a stake in the housing game here,” he said, and it’s in the military’s interest to see that the region is providing affordable units to those at NPS and the Defense Language Institute. Williamson said that a more difficult solution would be to promote higher-wage jobs filled by employees who could afford the higher rents. The difficulty, in that scenario, is that more new and affordable housing would still be needed for existing employees working lower-wage hospitality jobs on the Peninsula, he said. Thanks for this interesting article about Tyler Williamson. Amy Tomlinson, newly-elected P.G. council member, has also suggested regional partnerships for developing affordable housing, specifically P.G. coordination with Fort Ord programs. P.G.’s new mayor, Bill Peake, is similarly motivated. I’m encouraged by these new and innovative leaders who recognize affordable housing as the Peninsula’s major need. Don’t forget, over in Salinas we have Anthony Roche, just elected to a school board at 19! I was disappointed by the loss of Barrett in his bid for reelection. However, I am very impressed with the the progressive views of Tyler Williamson. I am sure he will be a bold addition. As president of Veterans For Peace, chapter 46, congratulations to our chapter member Tyler. We are so very pleased with your victory on our Monterey City Council. This was also a tough one for all of us VFP folks because Timothy is also a member of our chapter. So we were rooting, and voting, for both Tyler and Timothy. Now we are hoping and will encourage Timothy to run again. We will be supporting him as well as Tyler if he does. Thanks to the Many local volunteers who also canvassed and phoned into the 7 Swing Congressional Districts that were flipped from Republican to Democrat.